Are you all excited to see what's new in the Jenni Bowlin Digital Shoppe this Friday!? Well good because I'm just as excited to share this new release with all of you! 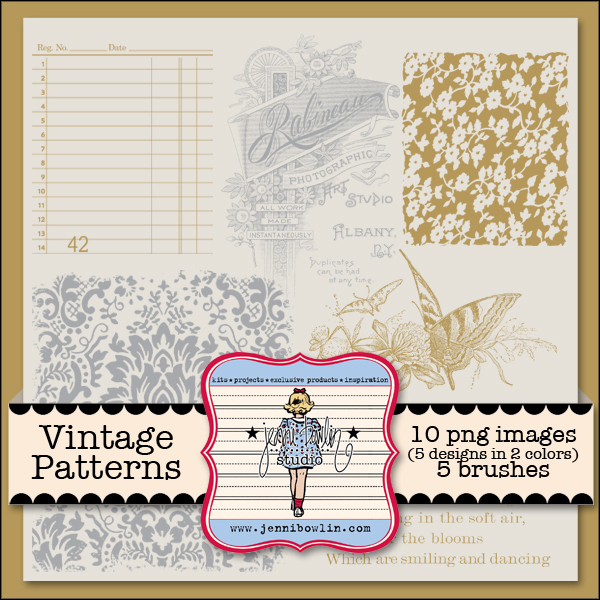 The Vintage Patterns Brush Set consists of five popular JBS rub-on designs available in both gold and silver and are perfect for adding a touch of vintage elegance to your digital scrapbook pages and hybrid projects. Below I've used the Silver Butterfly Vintage Pattern along with elegant papers from the Be Our Guest Collection to compliment these beautiful pictures of my sister-in-law on her wedding day. I think the brush really adds to the overall elegance of the design and I love how this particular design can double as journaling. Susie Cannon Moore has combined several of the vintage patterns in gold to create a fantastic border for her page. 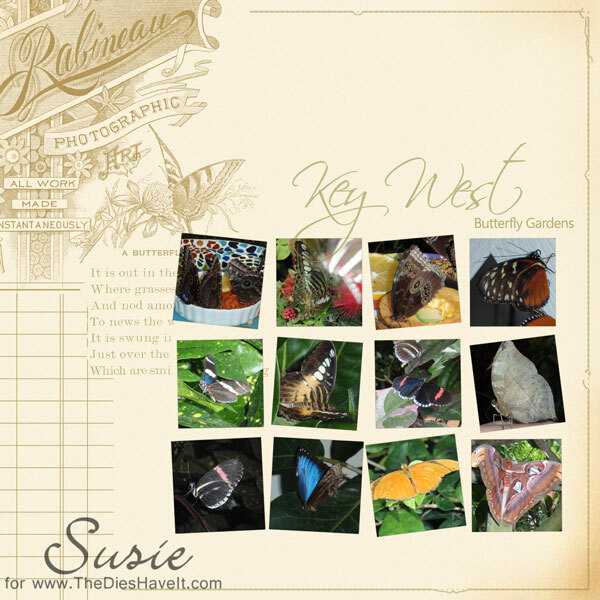 These patterns frame her photos nicely and add to the "gardenesque" theme of Susie's page as well. 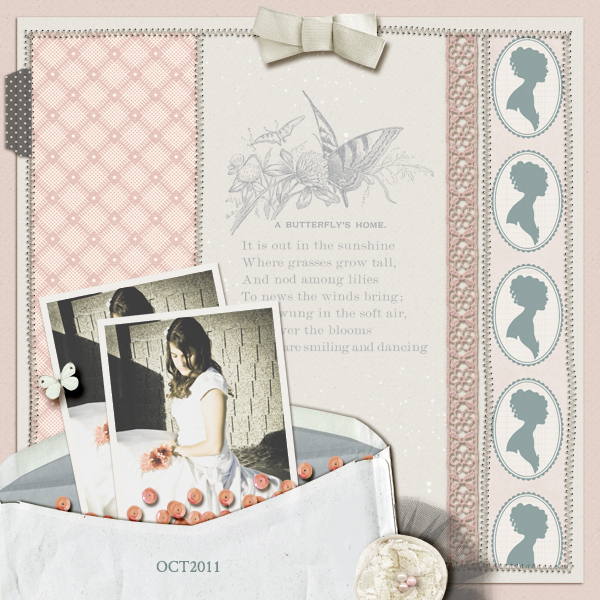 Chiara Castelluccia has used a variety of the vintage patterns as stamps on her background. Her keen placement of the different patterns helps to ground her photo and other key elements while creating the sense of subtle layers on this beautiful page. 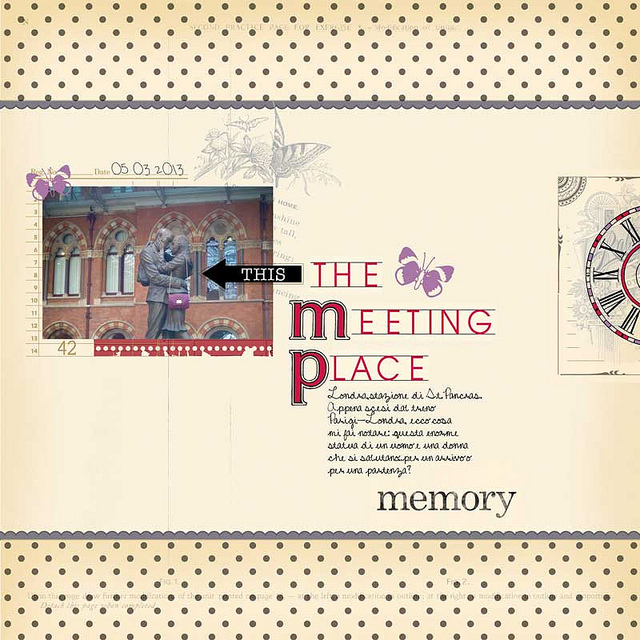 Thanks to Susie and Chiara for sharing their beautiful pages with us and don't forget to stop by the digital shoppe this weekend to grab this new release while it's 25% off--sale ends Sunday night! I missed these when I looked at the new releases.Thank you for pointing them out-adding them to my digital Jenni collection.